We believe that transparency is important when it comes to showing you our results. We dont hide or disguise our losses, they're part of the game. Hot streaks go cold and cold streaks go hot. This is why we are extremely confident with our Betting Strategy and lessening our losses when theres bad beats, cold streaks and just plain old bad luck. 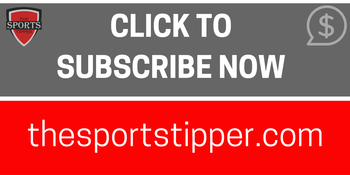 Our Sports Betting Tips Results show each of our tips that were given each day with results for each sport as well as over all. Our Units will give you a great idea of what you could have won following our picks to date and therefore, depending on your stake amount, what your potential Profit or Loss could have been following our Expert Sports Analysts picks. Our Results Document is updated weekly at a minimum.